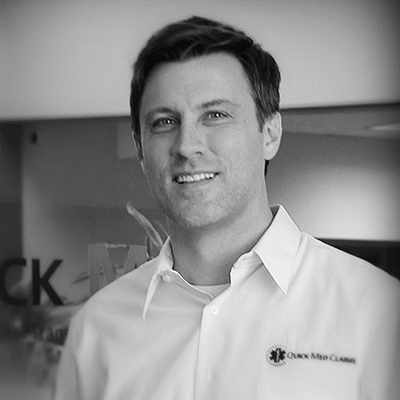 As Chief Financial Officer (CFO) of Quick Med Claims, Jon Cano is responsible for oversight of accounting and financial operations, with a focus on corporate growth through strategic financial planning and execution. He has worked for more than 20 years in finance and operations of service and IT organizations. Jon has experience in strategy, operations, finance, and mergers and acquisitions ranging from entrepreneurial start-ups to multi-billion dollar organizations. He is a CPA and began his career with Deloitte. Jon received his Bachelor of Business Administration in Accounting from the University of Notre Dame and his MBA in Corporate Finance from the Mendoza School of Business at the University of Notre Dame.